A baby boy arrived in Elyria, Ohio in 1938. As a youngster, Ken Keskinen explored the banks of the Black River, learning to hunt and fly fish. Building model airplanes held two clues to his future. Working hard to pass the competitive exams, Ken became an Aviation Cadet and entered Air Force Pilot Training. In1959, he married pretty Barbara, his high school sweetheart. First a co-pilot on B47s, 26-year old Ken became the youngest commander of a B52 during Vietnam. He went on to instruct others in the FB111 and with 4500 hours of flying time — to command a FB11 squadron. At different points, he was Chief of Training, Deputy Commander for Aircraft Maintenance and held a position in Intelligence. 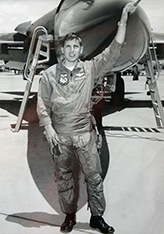 With a Bachelor’s degree from the University of New Hampshire, the life-long learner advanced his military career at night, attending Squadron Officers’ School, Command and Staff College, Industrial College of the Armed Forces and the Air War College. 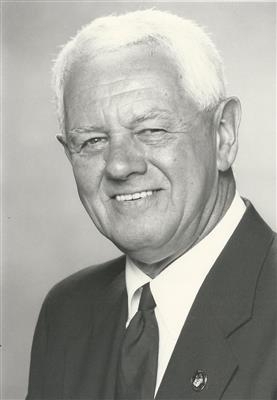 Colonel Keskinen retired in 1982. Reverend Sanders Olds, Jr. “Sandy,” of North Richland Hills, Texas, passed away Thursday, March 12, 2015, at Baylor All Saints Hospital in Fort Worth, Texas. Sandy graduated from Elyria High School in 1955 (1956 is correct); attended Ohio University and served in the U.S. Air Force for eight years, as an air traffic controller. He was a former member of Mt. Zion Missionary Baptist Church in Elyria, New Bethel Primitive Baptist Church in Lorain and New Hope Missionary Baptist Church in Cleveland. He is survived by his wife of 23 years, Lynn (nee Strode) Olds; daughter, LaNita Olds of Lansing, Michigan; his mother, Ethel (nee Lyle) Olds of Burlington, North Carolina and sister, Sylvia Olds Mand of Burlington, North Carolina. He was preceded in death by his father, Sanders Olds. The family will receive friends Tuesday, March 17, 2015, from 3 until 8 P.M., at the Sandra Clark Funeral Home in Dallas. Graveside services will be held at Dallas Fort Worth National Cemetery on Wednesday, March 18, 2015 at 11:15 A.M.
Glenn Thomas Rosenthal, 80, surrounded by loving family passed away March 16, 2015 in Athens, Georgia. He was born in Elyria, Ohio to Clarence and Alderetta Rosenthal on February 13, 1935. Glenn grew up in Elyria where he met the love of his life, Lois Jean Benjamin Rosenthal. This "love at first site" continued to grow as they celebrated 57 years of marriage. During those 57 years they raised three children Lori Rosenthal Reeves (Paul) Lilburn, Georgia, Chris Rosenthal (Judy), Naperville, Illinois, and Jeffrey Rosenthal (Michelle), Suwanee, Georgia. Glenn was a man with a big heart, hearty laugh, and a strong meaningful hug. With a focus on family and friends he left his loving mark wherever he went. He graduated from Elyria High School with the Class of 1953 and was a graduate of Bowling Green State University where he was a proud member of Pi Kappa Alpha fraternity. Glenn served in many professional capacities all with a focus on helping support and improve the lives of others. With his master's degree in Guidance and Counseling, Glenn dedicated his professional life to assisting college graduates succeed in the next chapter of their lives. Glenn retired from the University of Georgia in 2000 after serving as the Career Planning and Placement Director for 12 years. Prior to the University of Georgia, Glenn worked as the Director of Placement for Ball State University in Muncie, Indiana for over 16 years. He began his career as a History and Political Science teacher while coaching both football and baseball often times referring to coaching as "frosting on the cake". His community service included working with Meals on Wheels, Reading for the Blind, and serving in various roles at Tuckston United Methodist Church including Gatekeepers Sunday School Class. Glenn is survived by his wife, 3 children, 8 grandchildren (David Reeves (Sarah), Kimberly Reeves, Megan Reeves, Colin Rosenthal, Thomas Rosenthal, Steven Rosenthal, Connor Rosenthal and Bennett Rosenthal) and one great granddaughter (Nora Reeves), all of whom he loved and lectured unconditionally. Glenn was preceded in death by his parents and a sister, Barbara Rosenthal Sparks. Glenn's love of golf allowed him ample opportunity to create and nurture deep and meaningful relationships with those he was so proud to call friends. He also used this game to teach his children and grandchildren life's lessons with simple sayings such as "If you cheat at golf, you'll cheat at life."